Pseudomonas is the genus name of a large group of bacteria, some of which can infect and sicken humans. The number of bacteria assigned to Pseudomonas has declined in recent years as the advent and widespread adoption of genetic testing of bacteria has caused many former members of Pseudomonas to be moved to existing, or in many cases completely new, genus groups. 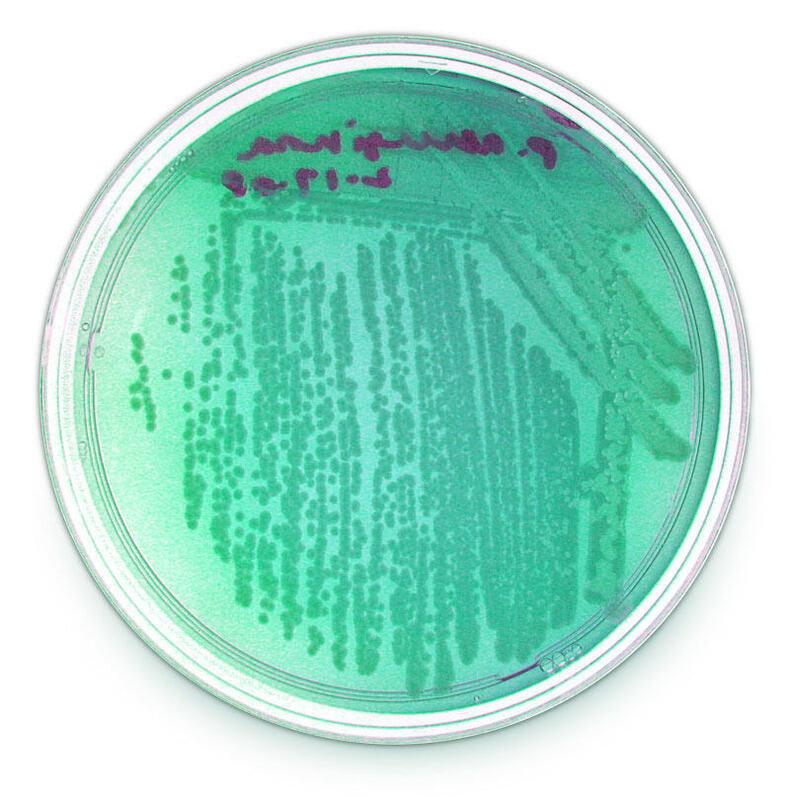 Of the remaining members of the genus Pseudomonas, only a few have been implicated in human illnesses and of those by far the most common culprit is Pseudomonas aeruginosa. From this point forward, for our purposes, any mention of Pseudomonas is understood to refer specifically to P. aeruginosa. While Pseudomonas is very common in the environment, being found in watery places and on plants in particular, but practically in any manmade environment, it is not part of the normal bacterial populations of humans. It is almost always, therefore, acquired from the environment. It is very hardy and will withstand severe environmental conditions, making it difficult to eliminate in some environments. It can even resist acids and strong bases, including lye, for differing periods of time and at differing concentrations, and it also digest petroleum products as an energy source, making it potentially useful for cleaning up spills of these chemicals. 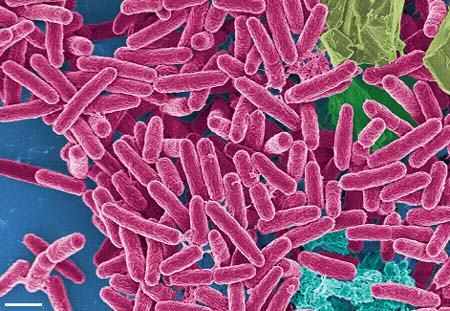 For most healthy people, Pseudomonas proves harmless. It doesn’t routinely cause illness in otherwise healthy people with a few important exceptions. Pseudomonas is a known cause of the water-borne illness known as “hot tub rash.” As the name implies, this is a skin condition, characterized by a red, papular rash after exposure to recreational water environments. The condition is not life-threatening although is does itch and is disfiguring while it lasts. This condition demonstrates the ability of Pseudomonas to withstand hostile environmental conditions, including in this case both heat and chlorine. It is important to be certain that any hot tubs you may use, especially those that are used by the public as opposed to your personal equipment, although any tub sould be contaminated, is thoroughly sanitized on a regular basis. You should follow a regular maintenance schedule with any personal equipment, of course, as well. The other manner in which otherwise healthy people can be impacted by Pseudomonas is through the contamination of contact lens solutions. Occasionally, these solutions can become contaminated with Pseudomonas, either during or after manufacturing, and abrasions to the cornea caused by the lenses may become infected with Pseudomonas. It is very important to follow all manufacturer guidance on the care and cleaning of any lenses and it is also important to take steps to keep any lens solutions sterile as indicated by the manufacturer. 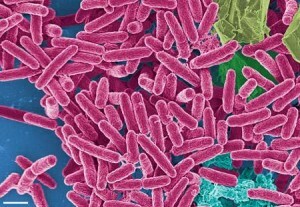 Otherwise, Pseudomonas tends to infect people who have impaired immune systems, due to illness, age, or injury, especially injuries that damage the epidermal layer of the skin and allow the entry of environmental bacteria such as Pseudomonas into the body where they can cause illness or infection. Most any part of the body can be infected with Pseudomonas, but it especially common in urinary tract infections, burn or other wound infections, and respiratory infections. The Pseudomonas infection can become blood-borne and therefore body-wide following any of these localized infections. Another group of people highly at risk for disease from Pseudomonas bacteria are those living with cystic fibrosis. Cystic fibrosis affects the lungs of those who have it and infection with Pseudomonas bacteria can rapidly worsen symptoms and lead to diffuse bronchopneumonia. Sadly, in some studies, the death rate among patients with cystic fibrosis who develop an infection with Pseudomonas bacteria is dramatically elevated. Therefore, it is very important to control this group of bacteria in environments where patients with cystic fibrosis are likely to congregate or live. Most cases of Pseudomonas infection are acquired in the healthcare environment, especially among those patients who have had surgery, who have indwelling urinary catheters, and/or who are using tubes in the trachea to support breathing. All of these procedures and devices provide routes of entry for the Pseudomonas bacteria and furthermore the equipment used in these procedures can become contaminated with Pseudomonas bacteria and thus spread the infection. Person to person spread of the Pseudomonas bacteria is not thought to commonly occur except through the contamination of healthcare worker hands that are not properly sanitized between patients. Healthcare environments have established protocols and methods for combating this type of infection in their facilities but sometimes lapses do occur. 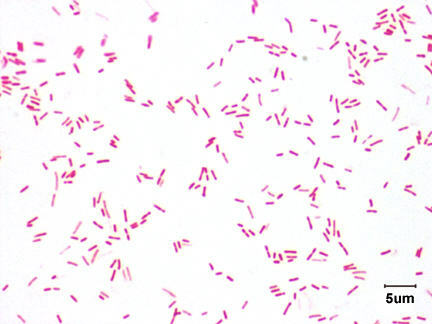 While Pseudomonas infections can be treated, Pseudomonas is intrinsically resistant to many forms of antibiotics and different strains of the bacteria will differ in their susceptibility to treatment drugs. Any competent microbiological laboratory will not only be able to identify infection with Pseudomonas, but will also be able to help guide your physician in the selection of treatment medications most likely to resolve any Pseudomonas infection that should be present. In addition to the intrinsic resistance displayed by many Pseudomonas strains, other strains are developing additional resistances, in a manner similar to many other bacteria worldwide. These extra resistant strains are particularly worrisome as they can prove very difficult, if not impossible, to treat in some patients, especially those with severe underlying conditions such as cystic fibrosis. 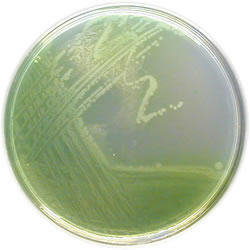 Pseudomonas can be difficult to kill on surfaces as well. 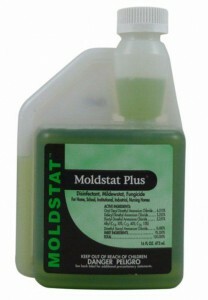 Fortunately, you can control Pseudomonas bacteria in your personal environment with MoldStat Plus. 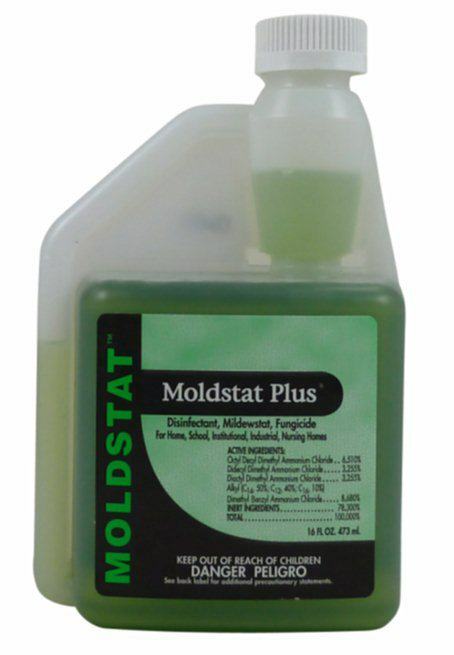 MoldStat Plus is an easy to use general disinfectant that has been demonstrated and registered with the EPA as effective against the Pseudomonas bacteria, including those strains that demonstrate wide ranging resistance to antibiotics and other disinfecting agents. While it is rare for Pseudomonas bacteria to cause disease in most people, these bacteria can serve as a marker for unresolved contamination with human waste material which it is necessary to remove in settings such as hospitals and nursing facilities. Other environments that may wish to control such contamination include, but are not limited to, homes, schools or gyms. This would be especially important in settings, including homes, where individuals living with cystic fibrosis are living or frequently visit. This entry was posted in Bacteria, MRSA Home and tagged antibiotics, body fluids, cystic fibrosis, gyms, healthcare settings, household, pathogens, resistance, respiratory, urine.